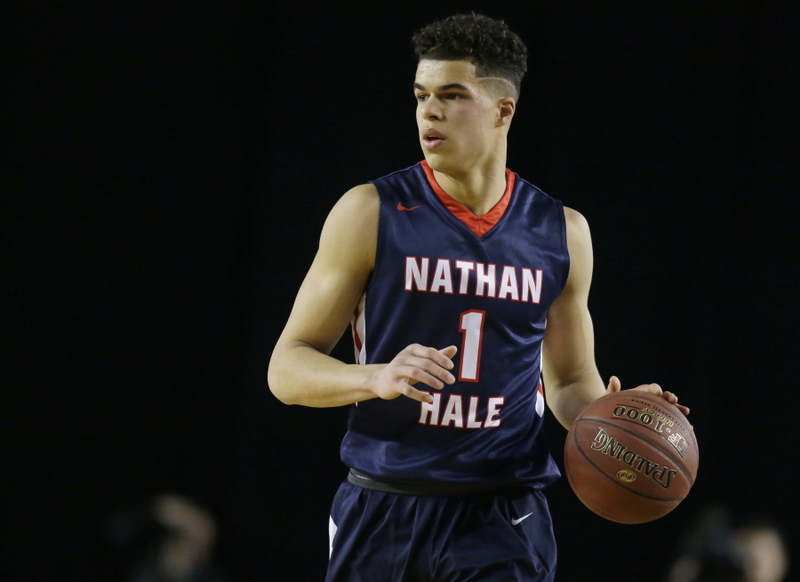 Best known for winning the MVP Award for the 2017 McDonald’s All-American Game, Michael Porter Jr is making a name for himself in the National Basketball Association (NBA), as one of its professional players to look out for in terms of achieving success at every level. Playing for the Denver Nuggets since 2018, Porter Jr is largely considered as a born shooter embellished with several other playing potentials that will help make his time with the professional basketball franchise worthwhile. Born on June 29, 1998, in Columbia, Missouri, the American basketball player Michael Lamar Porter Jr is the son of Michael Porter, Sr. and his wife, Lisa. He first attended Father Tolton Regional Catholic High School before transferring to Nathan Hale High School in Seattle, Washington where he excelled as a member of his school’s basketball team. While preparing to end his high school career, Porter Jr made an outstanding record of 13.6 rebounds and 36.2 points which was instrumental in his team’s win of the Washington Class 3A State Championship with a perfect 29–0 record. He was not only rated as a five-star recruit but was also ranked as one of the best overall recruits in his class by ESPN and Rivals.com. Among the accolades he received at the end of his High school career include the McDonald’s All-American Game MVP, and Mr. Basketball USA. Michael moved on for his college career at the University of Washington, in July 2016. While studying, he joined the varsity’s men basketball team, the Washington Huskies. But he decamped to the University of Missouri’s Tigers in 2017, after the former coach Lorenzo Romar, was fired. Porter was in for a successful college career but it suffered a little setback as he sustained a back injury that kept him off the field for the rest of the 2017 season. He, however, was cleared to return to the team on February 22, 2018, after successfully undergoing microdiscectomy of his L3-L4 spinal discs on November 22, 2017. After a full recovery, Porter resumed officially on March 8, 2018, in the quarterfinals of the year’s SEC Tournament. he was also part of his team’s players in the round one of the 2018 NCAA Division I Men’s Basketball Tournament, which Florida State won over them. It was after his game in March of that season that he came to openly declare his intention to forgo the remaining three college seasons to join the NBA draft. Michael Porter Jr joined the professional team on June 21, 2018, after being selected by the Denver Nuggets in the 14th overall pick. The Missouri prospect was initially projected as the first pick but he fell from this position due to reports regarding his health. On July 3, 2018, Michael Porter Jr signed a multi-year contract with the Nuggets and even though the professional team looked forward to seeing Porter play, they rather chose to go easy with him while being hopeful that he will recover from his back injury. There are reports that the Nuggets might be redshirting him for the entire 2018/2019 season just to be sure he has fully recovered healthwise. The 6’10 inches tall professional basketball player is of mixed ethnicity. He has seven siblings including Jontay, Cierra, Jevon, Coban, Izaak, Jayda, and Bri Porter. His father Michael Porter Sr., was hired by the University of Missouri to serve as an assistant coach. He formerly played college basketball at New Orleans. His mother, Lisa also played basketball during her college years at the University of Iowa. She had played professionally in France but back in America, she was among the basketball players who played in the 1983 U.S Olympic Festival North Team and the 1985 USA William Jones Cup Team. Michael’s sisters Cierra and Bri also play basketball for Mizzou Women’s team which is coached by their aunt, Robin Pingeton. Michael left the University of Washington to join his father at the University of Missouri. His brother Jontay Porter, who is also a basketball player for the Missouri Tigers of the Southeastern Conference, reclassified from the 2018 Class just to join Michael and their father in Missouri. On April 5, 2018, Jontay declared his intention to join the NBA draft along with Michael but unlike his brother, he chose to enter a professional team under no agent so as to be able to return to Missouri any time he chooses. During the NBA draft day deadline in May, Porter decided to forgo the NBA draft for that year and return to his college team. Outside the basketball field, Michael is fun to be with. Even though he is still single, the young handsome player has been involved in a couple of relationships. As of late 2018, he was rumored to be in a relationship with Isabella ( Izzy) Morris, the former girlfriend of a co-basketballer for the Los Angeles Ballers of the Junior Basketball Association, LiAngelo Ball. Prior to the rumors of his involvement with Morris, Porter was dating former Disney Channels actress, Madison Pettis. Madison is an American voice actress, actress and model best known for her role in a popular Disney film, Cory in the House. Although the two are yet to reveal how they met, pictures they share about themselves show that they have something special going on between them.